Sometime back I was struck by the rate at which Bitcoin value was growing. It hovered around 10 to 20 USD at that time. Then I went for my wedding and when I next saw it, it was already to the moon and back. Recently Bitcoin has proved its value and has been over $1000 since last couple of days. I got into cryptocurrency trading recently via BTC-E. The major challenge that one might face is getting the initial supply of bitcoins. I am not a fan of mining and considering that the green days of mining are well passed and it is not profitable for simple users, I recommend getting the initial bitcoins over the counter. I dont recommend bank transfers to exchange as these have long lead time and very high fee. Instead one can buy bitcoins from websites like localbitcoin.com or buy from friends if they have and are ready to sell. Seeing the recent boom and huge demand for bitcoins the supply of bitcoins has become very apparent and people are finding it difficult to get hold of their first bitcoins. I have had a good experience with localbitcoin.com with my transaction being completed in just 15 minutes. It is easy and safe as there is an escrow but still I would say that do your research and see the feedback before getting into any transaction. 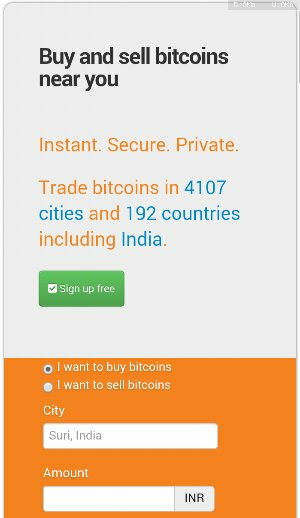 Let us know of other places to get bitcoins in india. 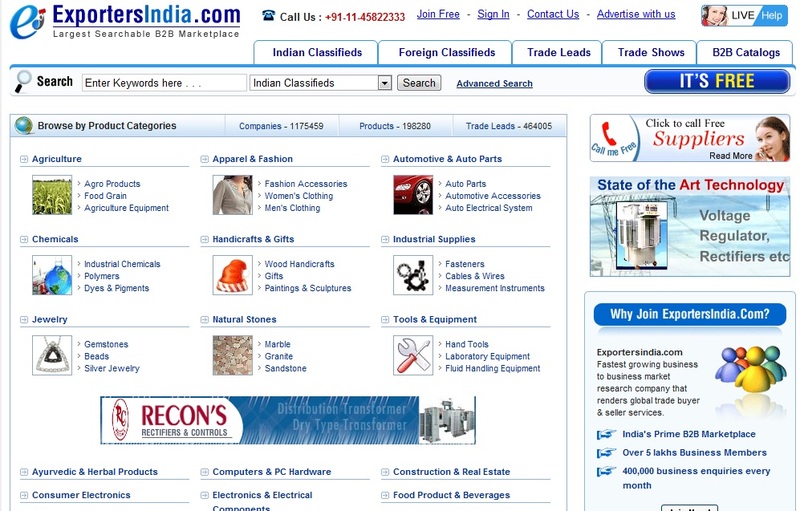 While Surfing net for his suppliers a friend of mine who is a wholesale businessmen came across this site which turned out to be extremely useful for him. He asked me to post few lines about it on this blog, so that everyone can take benefit from it. 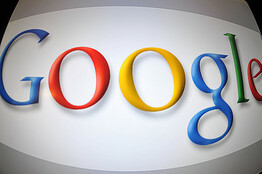 Today it gives free listing to company’s. The need for a common B2B showroom to exhibit their products and a platform to promote their business became urgent. Besides this, the incessant tussle among the business entrepreneurs to revolutionize their business to attract more of potential buyers and crack more of prolific deals accounted for the presence of a common platform where they can promote their business online. ExportersIndia.com is the answer to all, which continues to serve you with such a common B2B platform where innumerous manufacturers, wholesale suppliers, importers, exporters, service providers, etc. have registered in. A complete solution provider to all your business queries, Exportersindia is the destination where business enterprises have benefited by the much needed promotion and exposure in the current scenario of global market. Exportersindia has become a strong source of reliability because of the use of peerless technology and innovative measures. This online B2B directory is the home of innumerous products and businesses across the globe and hence it serves as the ideal destination for every one who wants to witness a bloom in the global trade scenario. This gives you a complete business solution which is essential for all new and old SME’s. IIT Post-Graduate D Uday Kumar entered his name in the history book, as his Rupee design was approved by the panel. The new design reflects Indian ethos and culture, as required by Finance Minister Pranab Mukherjee. Uday Kumar’s design was selected from a pool of five symbols. The decision was taken by a five-member panel. It was approved by the Union Cabinet The new symbol will be used globally like the Dollar ($) and Pound (£). Udaya Kumar’s Rupee symbol contains the Devanagari ‘Ra’ and the Roman capital ‘R’. The main criteria was that it should fit the standard keyboard and be in the national language script. Uday Kumar’s Rupee symbol is based on two concepts – Indian Tricolour and Arithmetic. Uday Kumar will be get a cash reward of Rs 2.5 lakh. He is a student of IIT, Mumbai. According to ancient history, a grouping of seven islands comprising Colaba, Mazagaon, Old Woman’s Island, Wadala, Mahim, Parel, and Matunga-Sion formed a part of the kingdom of Ashoka the Great of Magadh, ironically in North India. The Bhaiyas and Biharis whom the Thackerays accuse of being outsiders in Mumbai, come from the region, which was a part of Ashoka the Great’s empire.. We judge everything according to history and the history of Mumbai proves that its earliest known ownership was with a North Indian. The seven islands of Mumbai passed through many hands, the sultans of Gujarat, the Portuguese and the British. Every ruler left behind proof of residence in Mumbai. The Mauryans left behind the Kanheri, Mahakali and the caves of Gharapuri more popularly called Elephanta. The sultans of Gujarat built the Dargahs at Mahim and Haji Ali, the Portuguese built the two Portuguese churches, one at Prabhadevi and the other St Andrews at Bandra. They built forts at Sion, Mahim, Bandra and Bassien. The Portuguese named the group of seven Islands ‘Bom Baia’, Good Bay. The British built a city out of the group of seven islands and called her Bombay. The original settlers of the seven islands, the Koli fishermen, worshiped Mumbaidevi, her temple still stands at Babulnath near Chowpatty. The Kolis called the island Mumbai, ‘Mumba, Mother Goddess’. In 1662, King Charles II of England married the Portuguese Princess Catherine of Braganza, and received the seven islands of Bom Baia as part of his dowry. Six years later, the British Crown leased the seven islands to the English East India Company for a sum of 10 pounds in gold per annum. It was under the English East India Company that the future megapolis began to take shape, after the first war for independence Bombay once again became a colony of the British Empire. History has forgotten this but the first Parsi settler came to Bombay in 1640, he was Dorabji Nanabhoy Patel. In 1689-90, a severe plague epidemic broke out in Bombay and most of the European settlers succumbed to it. The Siddi of Janjira attacked in full force. Rustomji Dorabji Patel, a trader and the son of the city’s first Parsi settler, successfully defeated the Siddi with the help of the Kolis and saved Bombay. Gerald Aungier, Governor of Bombay built the Bombay Castle, an area that is even today referred to as Fort. He also constituted the Courts of law. He brought Gujarati traders, Parsi shipbuilders, Muslim and Hindu manufacturers from the mainland and settled them in Bombay. It was during a period of four decades that the city of Bombay took shape. Reclamation was done to plug the breach at Worli and Mahalakshmi, Hornby Vellard was built in 1784. The Sion Causeway connecting Bombay to Salsette was built in 1803. Colaba Causeway connecting Colaba island to Bombay was built in 1838. A causeway connecting Mahim and Bandra was built in 1845. Lady Jamsetjee Jeejeebhoy, the wife of the First Baronet Jamsetjee Jeejeebhoy donated Rs 1, 57,000 to meet construction costs of the causeway. She donated Rs. 1,00,000 at first. When the project cost escalated and money ran out half way through she donated Rs 57,000 again to ensure that the vital causeway was completed. Lady Jamsetjee stipulated that no toll would ever be charged for those using the causeway. Today Mumbaikars have to pay Rs 75 to use the Bandra-Worli Sealink, connecting almost the same two islands. Sir J J Hospital was also built by Sir Jamsetjee Jeejeebhoy. The shipbuilding Wadia family of Surat was brought to Bombay by the British. Jamshedji Wadia founded the Bombay Port Trust and built the Princess Dock in 1885 and the Victoria Dock and the Mereweather Dry Docks in 1891. Alexandra Dock was built in 1914. A Gujarati civil engineer supervised the building of the Gateway of India. The Tatas made Bombay their headquarters and gave it the iconic Taj Mahal Hotel and India’s first civilian airlines, Air India. The Godrejs gave India its first vegetarian soap. Cowasji Nanabhai Daver established Bombay’s first cotton mill, ‘The Bombay Spinning Mills’ in 1854. By 1915, there were 83 textile mills in Bombay largely owned by Indians. This brought about a financial boom in Bombay. Although the mills were owned by Gujaratis, Kutchis, Parsis and Marwaris, the workforce was migrant Mahrashtrians from rural Maharashtra. Premchand Roychand, a prosperous Gujarati broker founded the Bombay Stock Exchange. Premchand Roychand donated Rs 2,00,000 to build the Rajabai Tower in 1878. Muslim, Sindhi and Punjabi migrants have also contributed handsomely to Mumbai. Mumbai is built on the blood and sweat of all Indians. That is why Bombay belongs to all Indians. Apart from its original inhabitants, the Kolis, everyone else in Mumbai, including Thackeray’s ‘Marathi Manoos’, are immigrants. The “Mumbai for Marathi Manoos” war cry has once again been raised to shore up the sagging political fortunes of the Thackeray family. When the Shiv Sena-BJP combine came to power in 1993, under the guise of reverting to the original name they replaced Bombay with Mumbai. I wonder when they will discard the anglicized Thackeray and revert back to their original Marathi surname Thakre? This article was written on February 7, 2010 by Tushar Gandhi, founder/president, Mahatma Gandhi Foundation, and the grandson of Gandhiji. It doesn’t take a wizard’s eye to see the advantage that Dharavi has. It is served by two railway lines suitable for middle class commuters, along with Bandra Kurla complex, a global corporate enclave located directly across the remaining mangrove swamps, as close to Dharavi as Wall Street is to Brooklyn Heights. Dharavi enjoys the advantage of being close to both the Domestic as well as the International Airport. There is not a single kind of work that is not being done in Dharavi from the daily wages unskilled labourer to the highly skilled craftsmen whose works are exported to Americas and the Europe. Dharavi, right in the middle of the map. Is a quirk of geography and history. Large masses of poor people are not supposed to be in the center of the city. They are supposed to be on the periphery, stacked up on the outskirts. Dharavi had once been on the northern fringe, but ever growing Mumbai had sprawled toward the famous slum, eventually surrounding it. Dharavi is routinely called “the largest slum in Asia,” a dubious attribution sometimes conflated into “the largest slum in the world.” This is not true. Mexico City’s Neza-Chalco-Itza barrio has four times as many people. In Asia, Karachi’s Orangi Township has surpassed Dharavi. 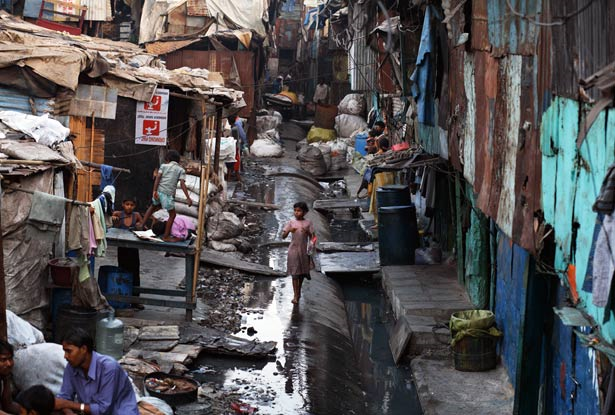 Even in Mumbai, where about half of the city’s swelling 12 million population lives in what is euphemistically referred to as “informal” housing, other slum pockets rival Dharavi in size and squalor. coming soon more on Dharavi’s contribution to economy. Stumbled upon an episode of Thousand Places to See before You Die. And this episode has India. The guide shows to the tourists Albin and Melanie Ulle the uncontrolled traffic, the crowded streets, the child hawkers, the garbage dumps along the sides of the roads and people n children in and around the garbage along with the pig and the cows as if they are our national animals. The guide keeps insisting that this is the real India. Is this what we wanted to be the image of India? To foreigners India is all about poor and dirty people. Long gone is the image of India as a land snake charmers but still we are looked upon as such despite being the second fastest developing nation of the world. We would like to have your comments on this. Fir Mile Sur… – A tribute to India or Bollywood? 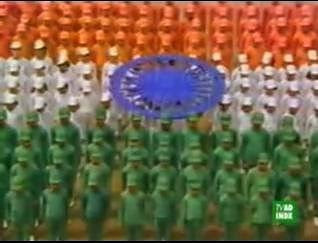 It was India’s 60th republic day and the stage was perfectly set for the re-launch of one of the India’s most popular anthem on national Integration; yes it was “Mile Sur Mera Tumhara”. In it’s 61st year The Republic of India stepped up its quest for becoming a superpower by 2020, just 10 more years before it reaches there. The album too was aptly titled “Phir Mile Sur Mera Tumhara” coming to re-establish the fact that the diversity in which we live is the key strength to our nation’s success. The original score had come at a time when India was reeling under IMF sanctions and zero foreign exchange reserves. Today the challenges have taken a different face. Recovering from recession, we are growing at constant pace but the economic divide is widening as well,giving rise to internal extremism in various forms. India is bugged by regionalism and its politics. India’s immediate neighborhood is no better; with couple of failed states and unstable economies they project a truly grim picture of the future. Sudden rise of middle class of two huge consumerist economies (China & India), pose an uphill task for agriculturist to increase food grain production by leaps & bounds. The global warming and climate change predictions give no respite. So it was a right time to “Phir Mile Sur Mera Tumhara”, but unfortunately the album fails to match the charm of original one. The “Common Man”, itself is missing from the prolonged video. It is bollywood overdose of a kind. The words from Amitabh Bachan set amongst renovated background(renovated after 26/11) of Gateway of India and Taj Hotel give a perfect beginning to a song to become an epitome of strengthened India. However Bhart Bala’s recreation of eternal song loses track immediately. The original Mile Sur too had several actors representing various regions of country. But they were shot in such a way that actors were looking as good as any common man of that region. Take for instance Om puri sitting with a farmer family & singing the “mile sur” in native language gives a completely different impact than Deepika Padukone in western attire singing similar lyrics. It is unfortunate that several national icons like Vishwanathan Anand and Sachin Tendulkar have not been shown. The video fails to project the real picture of India. It is highly bollywood centric and projects as if India is all about bollywood artists and nothing more. I do appreciate the greatness and talent of all the artists in the video, but then they are just a small drop in huge ocean of talents & traditions that India is really made of. While the silicon valley and numerous Apple fan-bois are busy praising the iPad, here in India, Infibeam, the shopping portal has come up with its own eBook reader. The eB ook reader is called “Pi”. Amazon has recently launched its own Kindle, followed by Apple Launching the iPad, which can be used as an eBook reader. 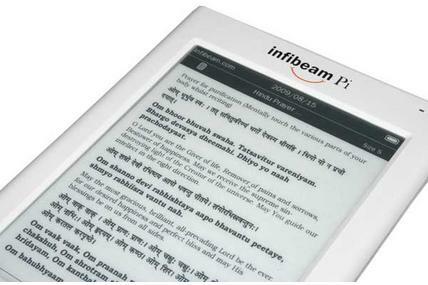 One lakh digital books are available to Pi owners from infibeam.com. The company plans to add more books over a period of time. Pi gives users the option to upload their own content from a PC or any other device via USB. Screen: 6″ E Ink® Vizplex. No backlight / glare. Formats supported includes PDF, EPUB, HTML, TXT, MOBI, DOC and Images (will show in grayscale – screen is 600×800 pixels) in JPG, BMP & PNG. Internal Memory of 512 MB which can save about 500 books and expandable up to 4GB via SD Slot. “The idea of Pi has been with us for the past two-years and a lot of R&D effort has gone in the same. We are proud to have created India’s first-ever reading device. Pi should not be seen just as a device but has great socio-economic ramifications, just imagine a doctor consulting his latest medical journal on the fly, or a lawyer looking at the latest case laws or even students having access to his text book in less than a 180 gm device. We can look at many such applications that have the potential to redefine how Indians view and look at content,” said Vishal Mehta, founder and CEO, infibeam.com. Priced at 9,999 INR, this looks like a good purchase. You can preorder it from the official Infibeams Pi site for 999 INR. Infibeam would start shipping the device from February 22, 2010.